Today instead of getting my dear husband a chocolate Easter egg I thought we’d go for something a bit different….. 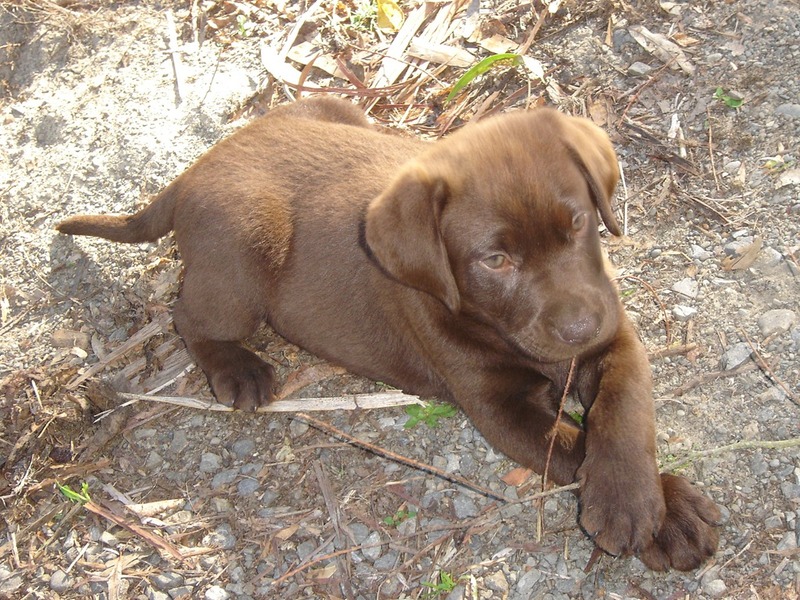 So we drove a bit (about and hour and a half bit actually) up the road to Kaikoura…and we got him a Chocolate Labrador …much healthier eh ? So here he is …Jack. He picked OH and was quite insistent about it actually..he wasn’t so sure about his choice once he was in the car but he coped pretty well ..then when we got home and put him on the lawn he promptly threw up …..hope that’s not an indication of the future LOL!! This entry was posted in Things Furred, Feathered and Fleecey.. and tagged Easter, family, Jack, our animals. Bookmark the permalink.